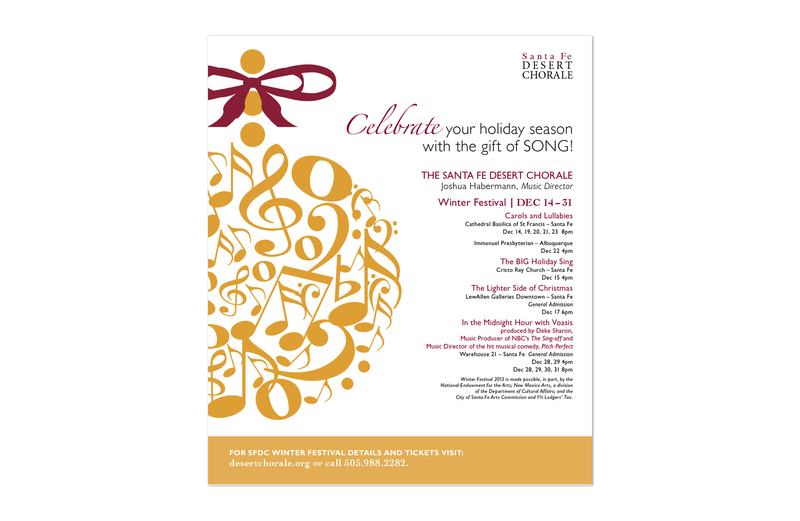 The nationally recognized Santa Fe Desert Chorale needed a brand revamp that aligned with the caliber of their talent and reputation. With updated photography and a fresh design, we took their image from antiquated to modern. Deke Sharon, the music director of The Sing-Off and Pitch Perfect directed a new product, an acapella group, Voasis. I developed a grass roots marketing program which led to sold out shows and a 47% revenue increase.